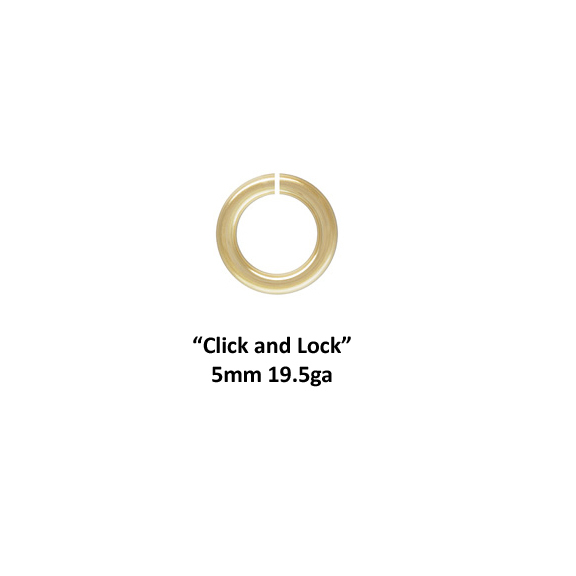 14K Gold Filled 5mm 19.5ga Click and Lock, Open Jump Ring, 25 pieces. These jump rings feature a Click & Lock mechanism for easy and secure closure, with no soldering required. They align in the same way that Snapeez jump rigns align. Made in the USA, anti tarnish treatment.